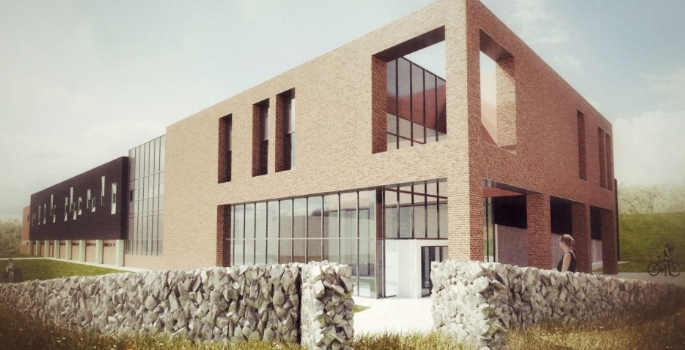 Clague Architects has secured full planning consent for the new academy of sport and wellbeing at The University of the Highlands and Islands Perth campus in Scotland. 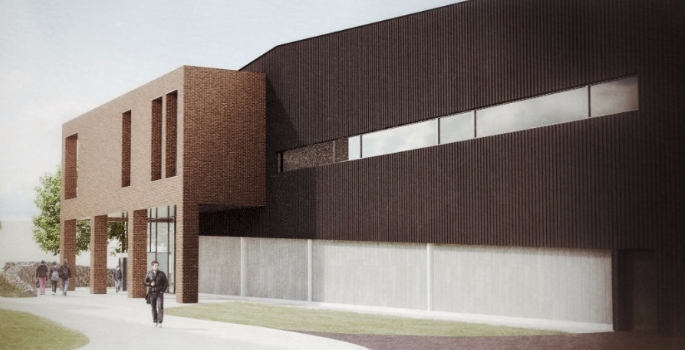 Following completion of a large sports and academic facility for the University of East London, the sports specialist team within Clague have worked with the national sport hall provider Ball Hall Ltd to develop the scheme for UHI. With an internal floor space of just under 5,000 sqm, the scheme will provide facilities for hair and beauty training, sports and academic use both for university students and, potentially, the local community. The building is designed to respond to its context, and Clague carried out a detailed site analysis before producing a scheme which aims to bring unity between the existing campus buildings. Architect Richard Baron adopted a strategy of breaking down the visual mass of the building so that, despite an elevation stretching over 86m in length and a clear height of 10.5m (owing to a climbing facility within), the final scheme would sit as comfortably in its context as possible. 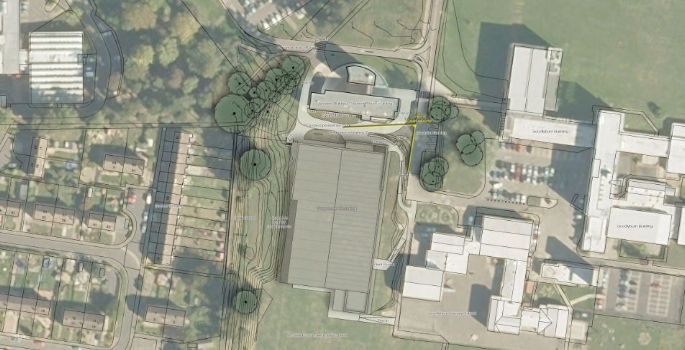 Full planning permission has now been granted by Perth & Kinross Council, with work expected to start on site in the summer.